As many of you may know, Team Hall & Nass and #Motorama LIVE have logged a LOT of miles driving various Ford F-Series, Super Duty, King Ranch and Raptor SVT Trucks over the past two years. We’ve tested the usage and limits of Ford Trucks everywhere from Jimmy Buffett tailgate parties and racetracks along the 2012 Hot Rod Power Tour, to towing heavy items and hauling go fast toys in the beds and on a few trailers behind us all across the United States. In fact, we’ve spent so much time getting to know the capabilities of various F-Series Trucks, we decided we needed to do something more special than just a simple review for the King Ranch edition Ford Super Duty. For this special edition truck, and as Texans, we felt we needed to Go Further. This summer, #Motorama LIVE and Team Hall & Nass headed way down into deep South Texas to visit the world famous King Ranch to learn more about what makes a King Ranch edition Ford Truck such a source of pride to Texans. 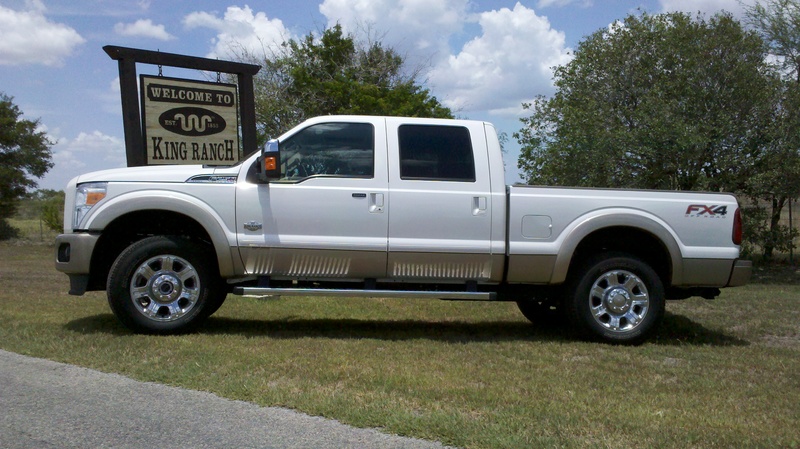 In case you didn’t know, the King Ranch is more than just a package option on a Ford Truck. Established by “Captain” Richard King in 1853, the 360,000 acre King Ranch is THE largest ranch in the United States of America, and the second largest ranch in the entire world. The relationship between Texans and their work trucks is a bond not many outside of Texas truly appreciate, and the bond between Texas ranchers and their work truck of choice is serious business. It’s also VERY personal. So when the folks at the King Ranch decided to allow Ford to put their brand, and their hand crafted leather, into a King Ranch edition Ford Truck, it was about as serious as business gets here in Texas. We hope you enjoy our tour of the King Ranch and our explanation of what makes a King Ranch edition Ford Truck as special as it truly is. We also hope y’all will pardon us departing from our usual HOON type foolishness and getting back to our roots, as long before Team Hall & Nass began racing fast cars, we started out making our money the old fashioned way, doing manual labor and busting our humps in our work trucks. For more information on the Ford F-Series King Ranch Trucks, and many of the vehicles we drive, review and discuss with the world, join us for our weekly #Motorama LIVE automotive and motorsports discussion, every Wednesday night from 9-11 PM Eastern on Twitter. Search on the #Motorama hashtag and join the discussion!